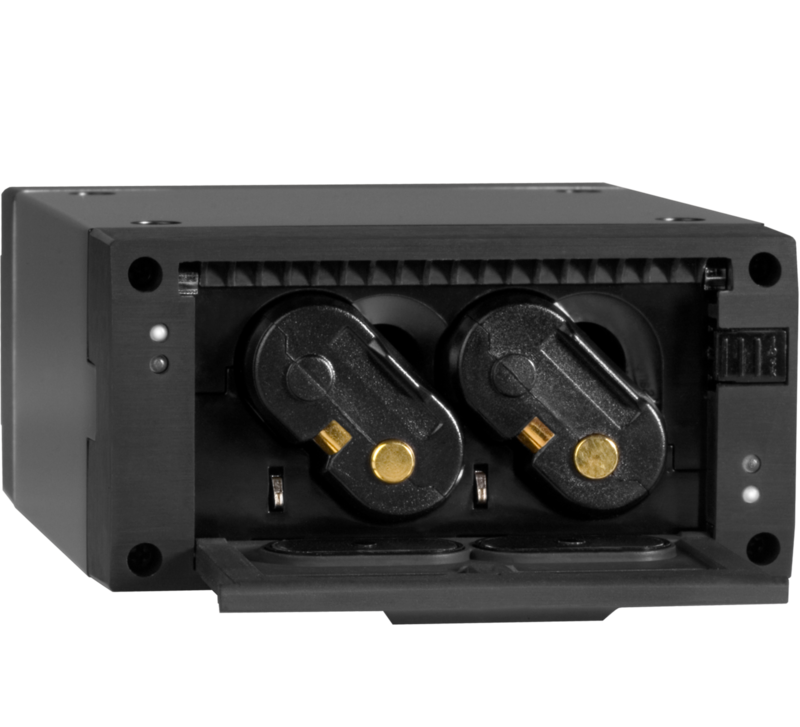 Portable Battery Charging Station. 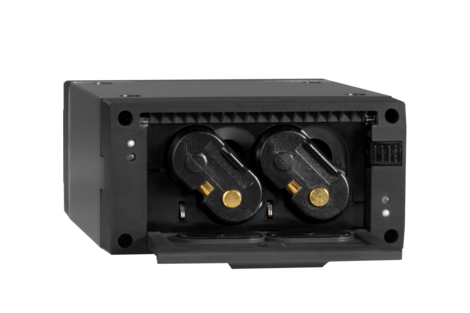 Charges two SB900 rechargeable Li-Ion battery packs in a convenient and compact desktop unit. 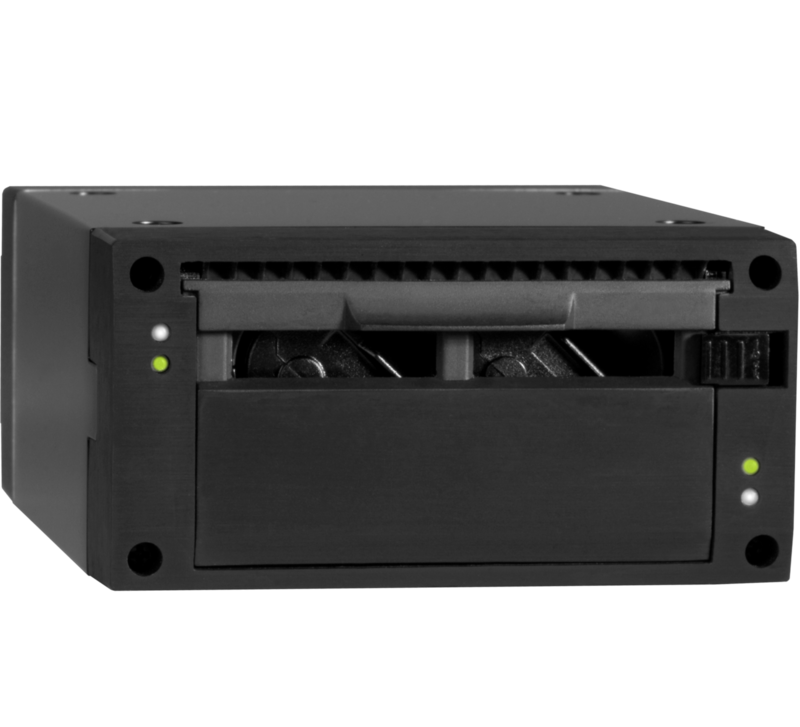 The ULXD1 is a wireless bodypack transmitter compatible with ULX-D Digital Wireless Systems. 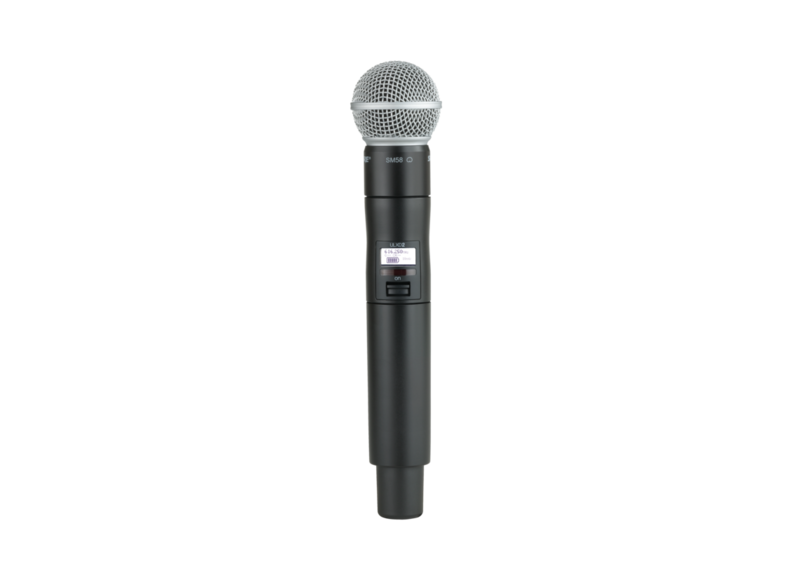 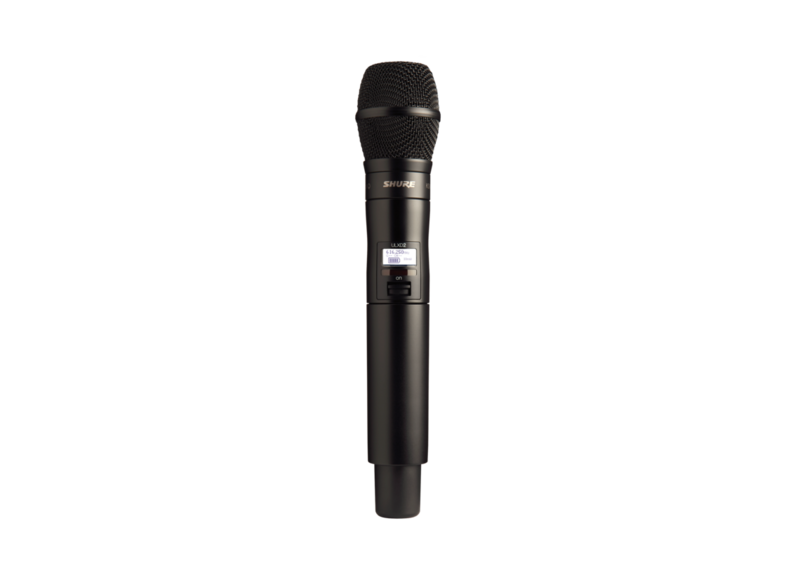 The Shure ULXD2 is a handheld wireless transmitter compatible with ULX-D Digital Wireless Systems. The KSM9 with the ULXD2 digital handheld transmitter features the KSM9 cardioid/supercardioid condenser vocal microphone head which captures vocal subtlety with extraordinary detail to deliver clear articulation and precise vocal reproduction for live performance. 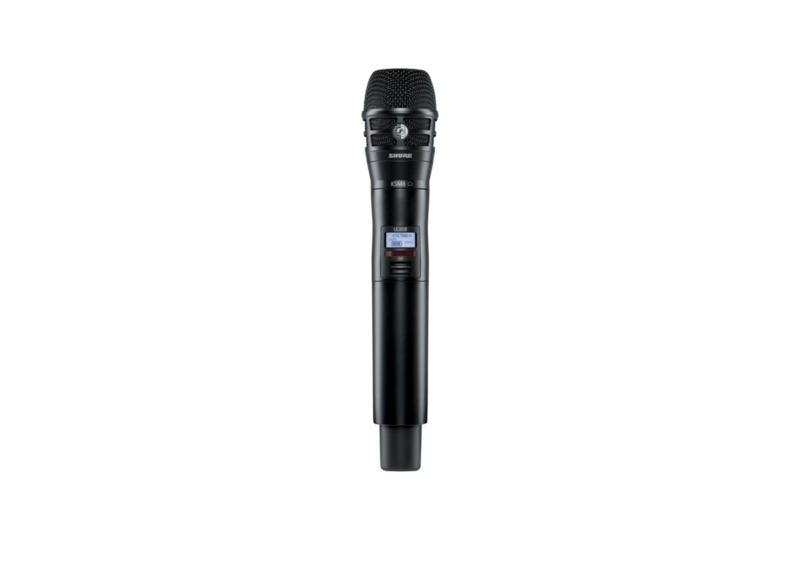 The KSM9HS with the ULXD2 digital handheld transmitter features the KSM9HS hypercardioid/supercardioid condenser vocal microphone head which captures vocal subtlety with extraordinary detail to deliver clear articulation and precise vocal reproduction for live performance. 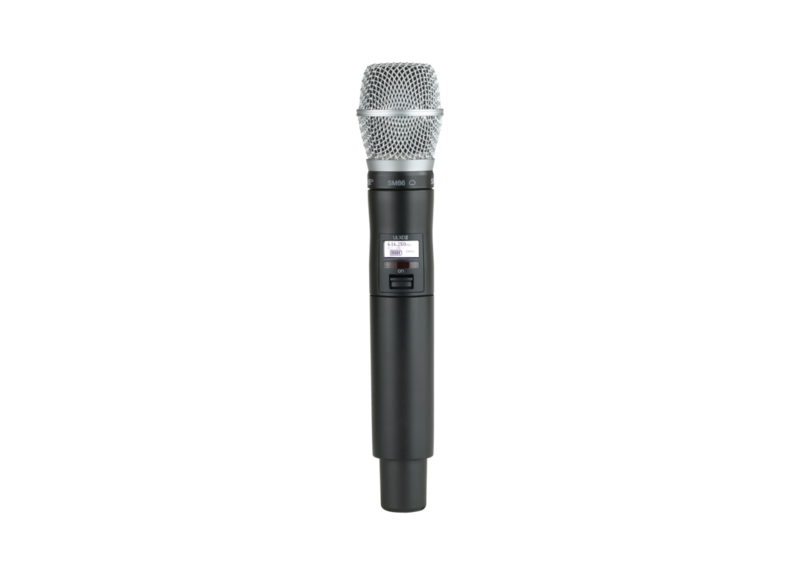 The ULXD2 Handheld Transmitter coupled with the paramount KSM8 vocal microphone delivers outstanding sound for touring professionals the world over. 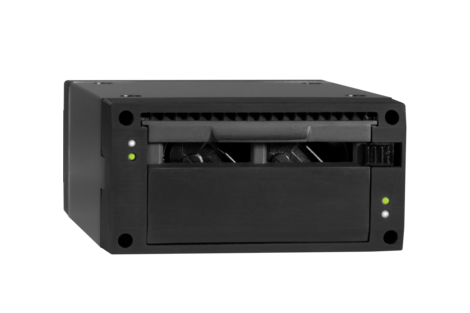 Wireless bodypack receiver offers premium features for use with the PSM 900 In-Ear Personal Monitoring System. 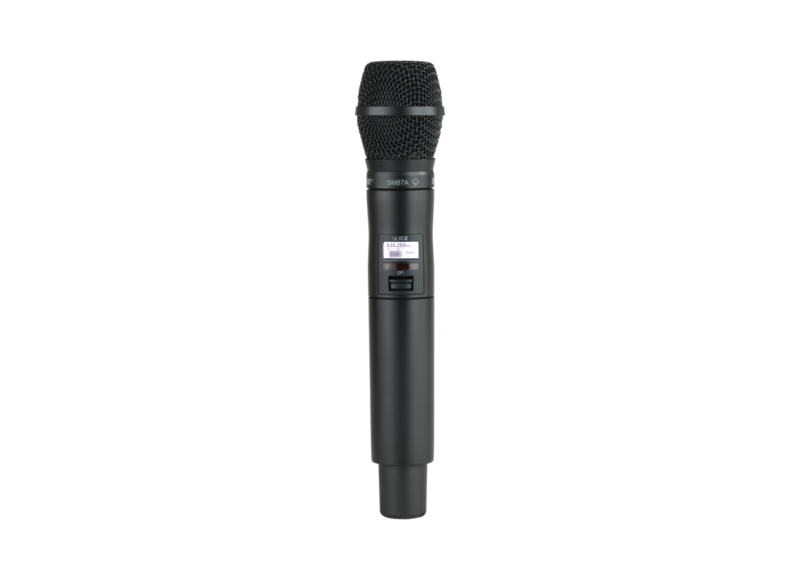 Includes MixMode channel separation, digital stereo encoder, RF Scan, Automatic Gain Control, and selectable high-frequency EQ boost.